USA Today and 10best.com have launched another set of Reader’s Choice Awards, with the focus this time around being small towns. Six separate polls seek to find the country’s Best Small Town For Adventure, Best Coastal Small Town, Best Historic Small Town, Best Small Town For Shopping, Best Small Town Cultural Scene, and Best Small Town Food Scene. As is usually the case, Michigan is well represented in these polls, with five nominees. Below we’ll tell you why we think each one is a good choice, and provide a link for voting. You can vote once per day in each category until noon on May 14th. Winners will be announced on May 18th. Let’s show Michigan Small Towns some love and help them bring home some awards! 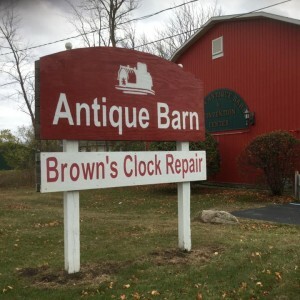 Allen (Best Small Town For Shopping) – Located on the US-12 Heritage Trail, Allen is referred to as the “Antique Capital of Michigan” thanks to its numerous shops. Many of the antique shops are located in Victorian homes and historic buildings in this small town with a population of close to 200 people. You’ll find Allen in Hillsdale County, less than 20 minutes east of Coldwater and I-69. Other finalists in this category include Woodstock (Vermont), Fredericksburg (Texas), Steamboat Springs (Colorado), and Breckenridge (colorado). 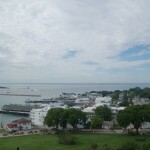 Mackinac Island (Best Coastal Small Town) – Previously a finalist for Best Under the Radar Romantic Destination in 2015, Mackinac Island is now nominated as a Best Coastal Small Town finalist. 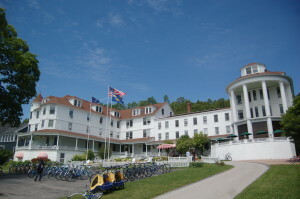 Noted for its absence of motor vehicles, its beautiful landscape, and its historic significance, Mackinac Island is one of the state’s top summer vacation destinations. 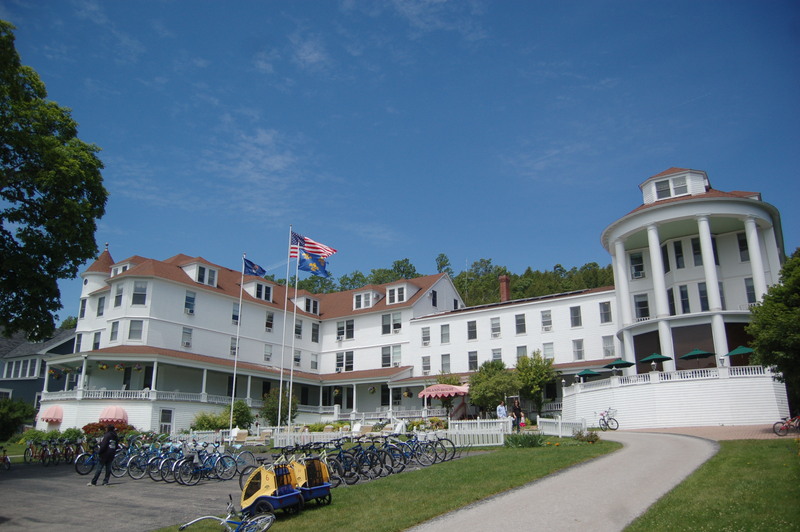 Check out our guide to the island’s Michigan Historical Markers, a Photo Gallery of our favorite island scenes, a guide to Somewhere in Time movie sites, and a look at the two lighthouses closest to the island. 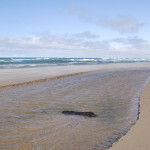 Those who have visit would agree, this Lake Huron island must be explored in person for it to really be appreciated. Other finalists include Bayfield (Wisconsin), Gulf Shores (Alabama), Kennebunkport (Maine), Cape May (New Jersey), and Pismo Beach (California). 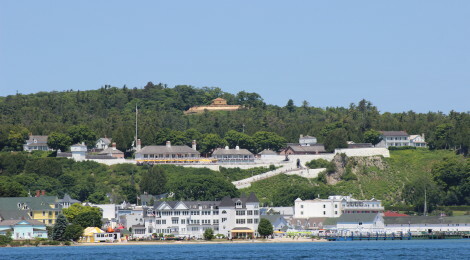 Traverse City (Best Small Town Cultural Scene) – Detroit, Grand Rapids, Ann Arbor, and other cities in Michigan get a lot of attention for their arts & culture, but 10Best reminds us not to forget about Traverse City. They note that “The Traverse Symphony Orchestra performs regularly in the City Opera House, while the Interlochen Center for the Arts brings in talent from around the globe. The Dennos Museum Center maintains a permanent collection of art from the Canadian arctic – one of the largest in the world.” Other finalists in this category include Lexington (Virginia), Asbury Park (New Jersey), Naples (Florida), and Cooperstown (New York). 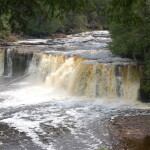 Marquette (Best Small Town For Adventure) – One of our favorite Upper Peninsula destinations is Marquette, which 10Best praises for its beaches, kayaking opportunities, and hiking. 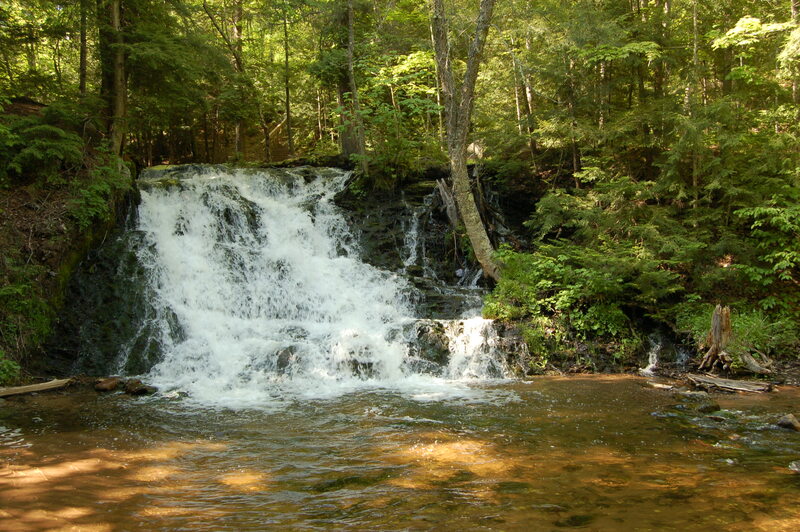 We recommend the trip to the top of Sugarloaf Mountain, visiting area waterfalls like Dead River Falls, Morgan Creek Falls, and Yellow Dog Falls. 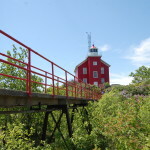 See freighters loading ore, walk out to the Presque Isle Harbor Breakwater Light, have a picnic, or hike the trails at Presque Isle Park (also a great spot for sunsets). 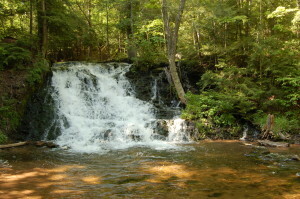 A short drive north of town on CR-550 leads to Little Presque Isle, Wetmore Landing, Hogback Mountain, Alder Falls, Thomas Rock Overlook, and more. 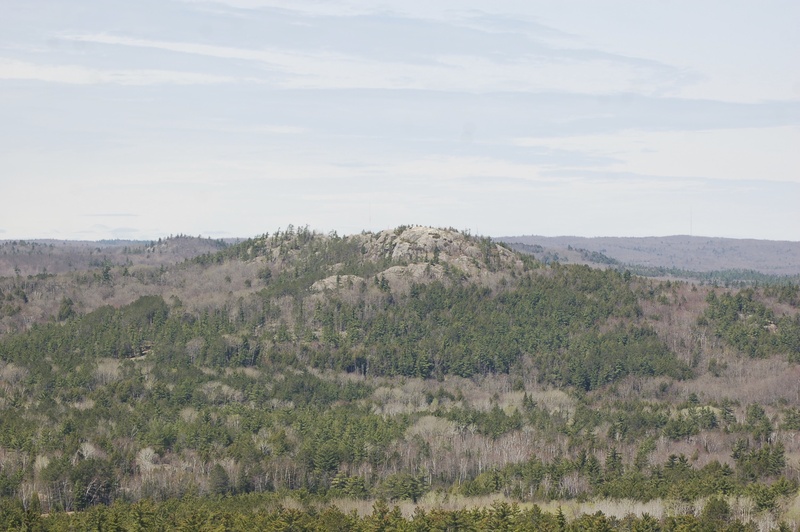 After your adventure you can grab a locally brewed craft beer at Blackrocks Brewery, Ore Dock Brewing Company, or The Vierling Restaurant and Marquette Harbor Brewery. 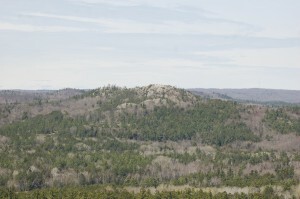 Other finalists in this category include Watkins Glen (New York), Moab (Utah), Bar Harbor (Maine), and Jackson Hole (Wyoming). Frankenmuth (Best Small Town Food Scene) – Michigan’s “Little Bavaria” gets some love here because it “boasts Michigan’s oldest brewery and winery (Frankenmuth Brewery and St. Julian Wine Company), as well as a wine bar (Prost Wine Bar & Charcuterie) and a cocktail bar and pizzeria (Tiffany’s Food & Spirits). 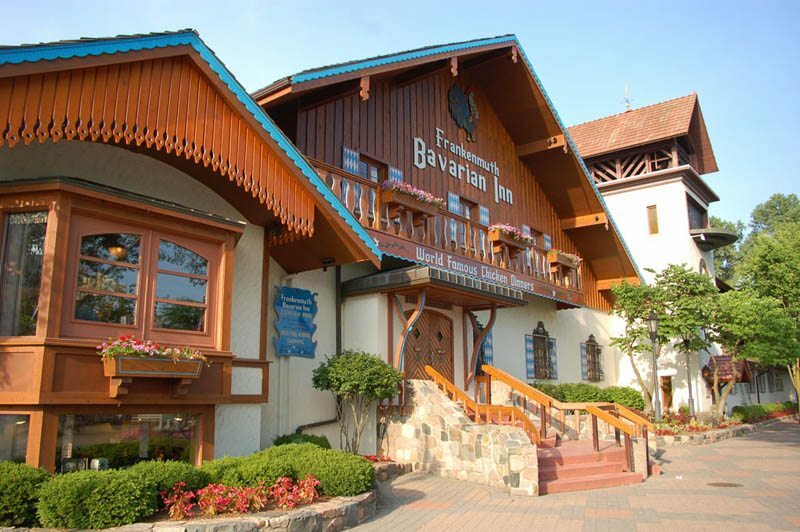 Willis Sausage Company makes more than 100 varieties, and the Frankenmuth Fudge Kitchen is on hand to satisfy a sweet tooth.” Zehnder’s is well-known for its chicken dinners, and the Bavarian Inn is known for large portions of chicken and German food. Other nominees for best small town food scene include Park City (Utah), Aspen (Colorado), Collingswood (New Jersey), and Covington (Louisiana).